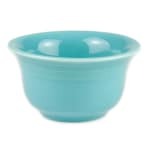 The Homer Laughlin 450107 Fiesta bouillon bowl is made of china for durability. It resists scratching and chipping as well. 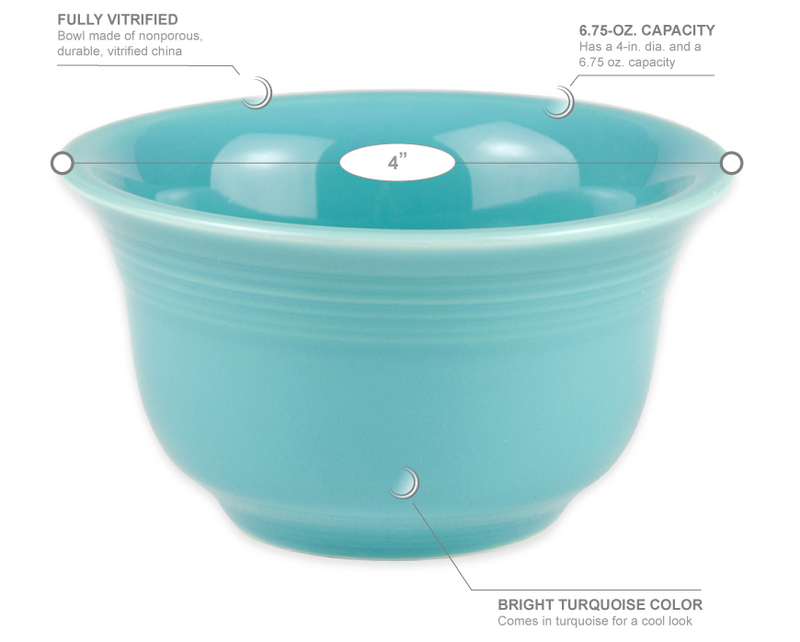 The bowl has a diameter of 4 inches that fits on tabletops easily with other dinnerware. Soup, gelatin, custard, and other popular menu items can be held in the 63⁄4 ounce bowl. 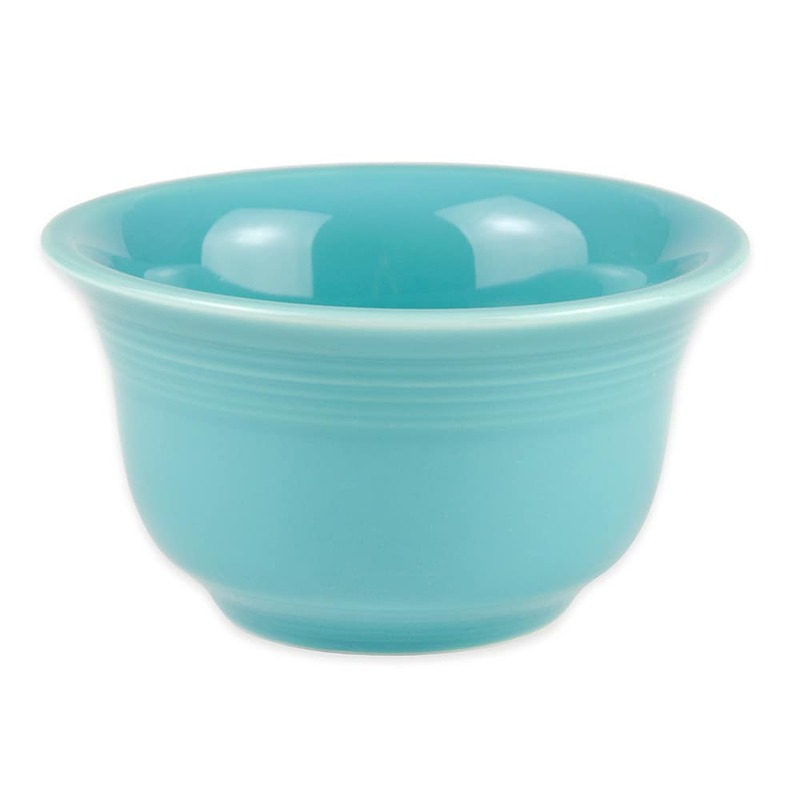 The Homer Laughlin 450107 Fiesta bouillon bowl comes in turquoise for a pop of color.